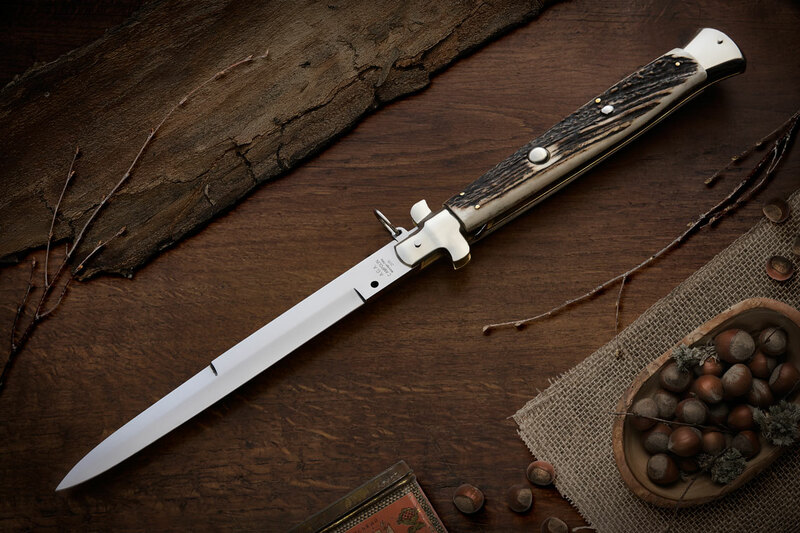 The BIG CAMPOLIN giant stilettos are made in the same way they produce those knives since 60 and more years ago. Nickel silver bolsters, button and safety. Bayonet blade hand mirror polished. A great knife to add in your stiletto collection. Limited supply. Overall Length: 38cm / 15" - 45cm / 18"
Blade Length: 18cm / 7" - 21cm / 8.5"
Blade thickness: 5mm / 0.2"